Wow. 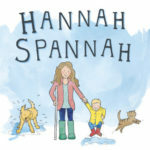 I’ve blogged my crafts that I’m sort of contracted to do, but other than that, my blog has been pretty quiet and bare. 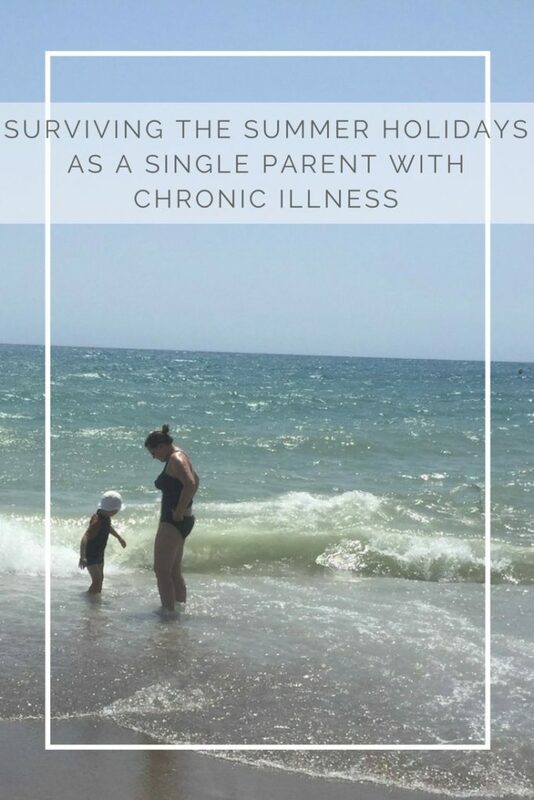 Life as a single parent with chronic illness is tricky. I’ve been meaning to write an update post for months but I’ve never known how to start it. So. Where do I start? If you’re new to my blog, heres an explanation of what happened to me. I need to write a massive new update about what has been going on recently but it’s changed so much that again, I’ve just not known where to start. I have no idea why. Well, in a way, I suppose I do a little bit – my back pain has increased and that in turn, affects every part of my body as the wrong muscles engage to protect myself from pain, I walk differently, my pelvis that is already very problematic then gets worse and on, and on, and on until the fatigue hits. I’ve walked our dog, Bella, maybe 3 times this year and 1 of those times I had to telephone my Mum who was at my house, to come and get her as I hung onto someone’s iron garden fence, in agony, with no strength. Bella no longer feels like my dog. She has always been a shared dog between my parents and Bear and I, as I couldn’t manage full time and my parent’s didn’t want to be tied by the full responsibilities but now she lives at my parent’s and only visits us. It’s sad. It’s slowly been happening since the end of last year and made all the studying that I was doing, really hard and after a really tough and frank discussion with an osteopath, put pay to my plans to become self-employed – for now. My parents and sister, as ever, are a great support but there is a limit to what they can offer me alongside taking us on camping trips and our wonderful trip to Spain. 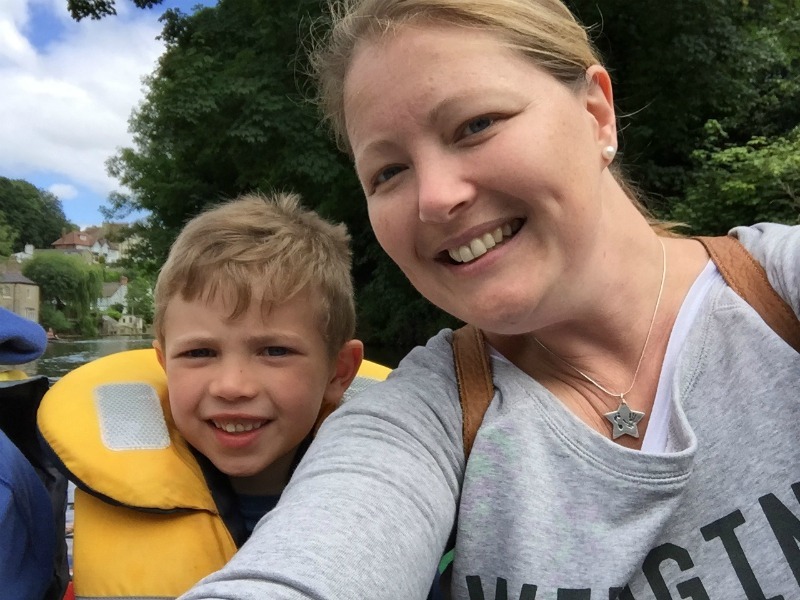 As a single parent, I try, too hard, to be both Mummy and Daddy. To play both roles. I try to play football with him as it’s his new passion and obsession, whilst simultaneously making tea, tidying up etc and then finding the energy for bath and bed. I support, encourage and promote his Dad to him and their relationship. I try to show him the love of two parents, in a clean, tidy and happy home. 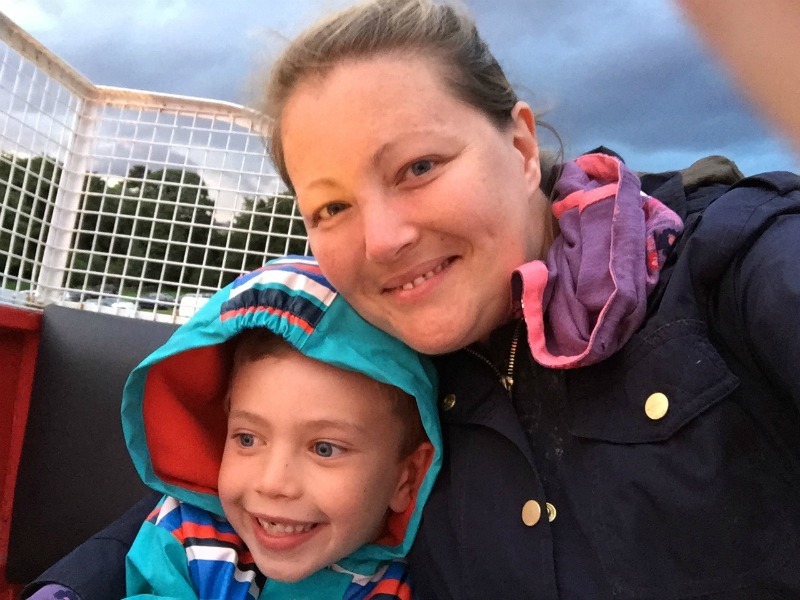 As a chronically ill parent, I feel so bad about the things I have been unable to do, the time’s I have missed and the occasions that I’ve had to say no to going out, playing on the floor or garden. Now my boy is at school and I’m still not well (my secret dream was that I was going to get better and be able to enjoy the years at home before the school system swallowed him and took away spontaneity) I try extra hard in the holiday’s to make memories and say yes, despite the pain and truly, truly debilitating fatigue. Put the two types of parent together and you get an exhausted, guilt ridden Mummy who tries too hard to be everyone and everything, yet is unable to be all. 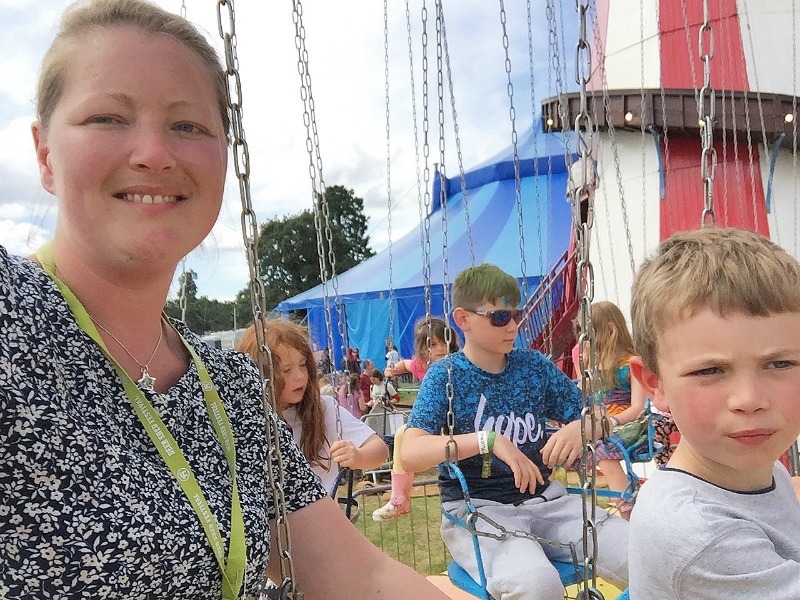 We don’t have a lot of money and so instead of action packed days out at theme parks with entertainment supplied, a lot of our fun centres around being outside at parks and farms and I am often taking part. This is exactly what I want – my son was longed for and as he is my one and only, I want to be the best I can but as you can imagine, passing the football back and forth for a while, really takes it out of my hips. Playing bat and ball can be really hard due to the constant bending down to the floor to pick up the ball and walking to collect it from wherever it has been whacked! I’m not complaining, no, not in anyway, just explaining why sometimes the simplest of things can cause me so much pain and fatigue. Usually, I am so incredibly lucky that my Mum or my sister will be waiting at my house when I get back from a day out and they will help me unpack the car, wash up picnic things and sort out Bear’s tea so that I can just collapse on the sofa. Sometimes it is like a proper collapse. As we are entered the final straight of the summer break, I was on my knees metaphorically. One evening, after a day out where a friend and I took our boys to a park that had a skate park, a big grass area and fabulous playground, we had let them loose and sat and watched them play all day. The most that we did was move our things to different locations 3 times and bowl for cricket maybe 10 times and that was it. We were out all day but I got home and knew that if I sat down, that would be it. I slowly unpacked some of our things and sat down. That was that. I was done. By 6pm I knew that I couldn’t stay downstairs any longer. I mustered the strength to get upstairs and brush my teeth, my Mum helped me change and I literally passed out. Mum helped Bear get ready for bed and he snuggled in beside me. Mum stayed over and on nights like that, I feel so much safer knowing that there is someone else in the house in case there was an emergency. However, with all this wonderful physical, emotional and childcare support, comes guilt. My Mum and sister shouldn’t be caring for me. I’m 38. My Mum works two days a week and has her home with my Dad. My sister is married and gives two of her evenings a week, to help me with the tea and bedtime routine. She has her own home and life to lead. Neither of them should be having to help me care for my son. Yes, of course I know that they want to help, that they love us and don’t want to see me struggle, but it’s not their responsibility to cook my son’s tea and tidy up afterwards when I’m too tired or in too much pain. It’s not their responsibility to pick him up from school when my car breaks down or if I’m in too much pain to drive. It’s not their responsibility to entertain him when I can’t. Two people made the conscious decision and planned to have a child. My family didn’t sign up to take the role of my partner but they were left to pick up the pieces. That is what makes me feel so bad. I know they wouldn’t have it any other way but they give up a lot for their lives for me and our family has had to change and adapt so much and I can’t even explain how much guilt I feel about this. It physically hurts. Guilt is a massive part of my everyday life. School holidays or not. Guilt if I can’t play kick about after school with my son, guilt that my sister doesn’t go straight home after work, two days a week and guilt that my Mum has pretty much put her own life and life with my Dad and her home, on hold, for the last 4.5yrs. So, here I am. My house has been neglected and so much organising needs to be done. 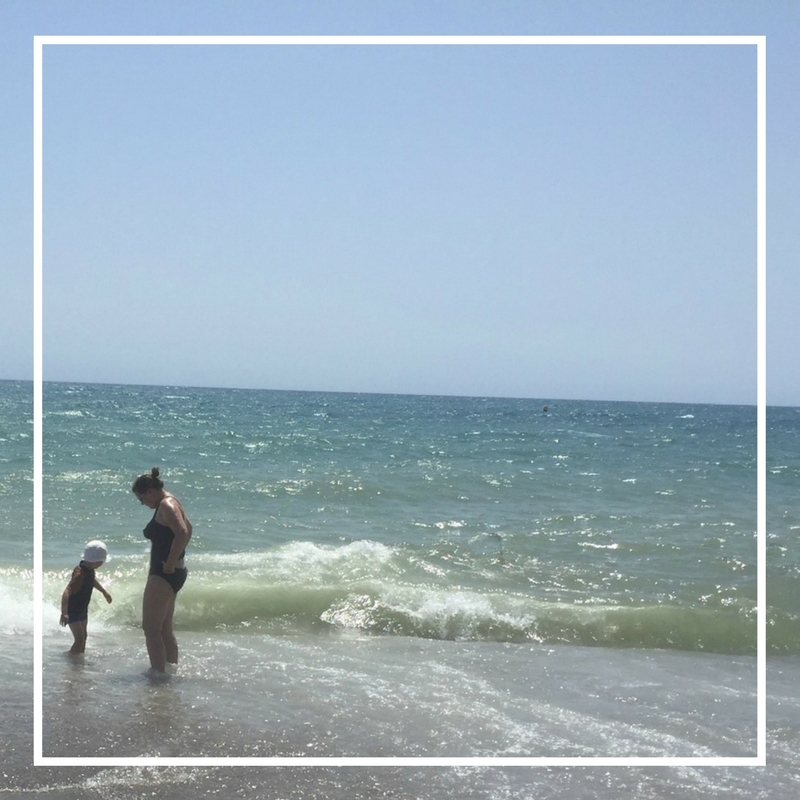 Bear has been back in school for 2 days and I am finally publishing this post that I began to write 3 weeks ago. I’m in a lot of pain. But. My heart is happy and my head is full of wonderful memories that we made over the summer. I find it hard to face the future. I know that in some ways it is going to get easier and in some ways it’s going to get harder. I need things to change. I do have quite a few medical investigations and treatments coming up and I’m really hoping that somehow, my health will improve. I want to work, I want to rejoin society, I want to stand on my own two feet. So I’m starting slowly and writing is the first step. How I look after a couple of days of activity…. You are doing a wonderful job and I am sure your son loves you whatever way you are. And for your illness I am sorry and I do wish days get easier and better for you. With Bella being at your parents, it might benefit her and puts less stress on you. I understand what it’s like to be a single parent and feel guilty for family members helping you but sadly you need the help and they secretly love it. My parents have helped me so much this past year and I am so grateful for them both. Hope this weekend is better for you. I just want to come and give you a bloody huge hug! Massive hugs Hannah. You are creating some gorgeous memories with your beautiful Bear. He will look back when he’s older and be so happy he had your Mum and sister there so much. You are an incredible family, who are collectively, with your lead, are doing an amazing job of providing an action packed life full of love and fun for your one and only. Your son looks like a very happy boy! I know it’s easier said than done, but try not to feel guilty. Your family can and wants to help you because they love you and your son. Feeling guilty leaves you less room to enjoy the happy times 🙂 you’re doing a great job! You are amazing and so strong. 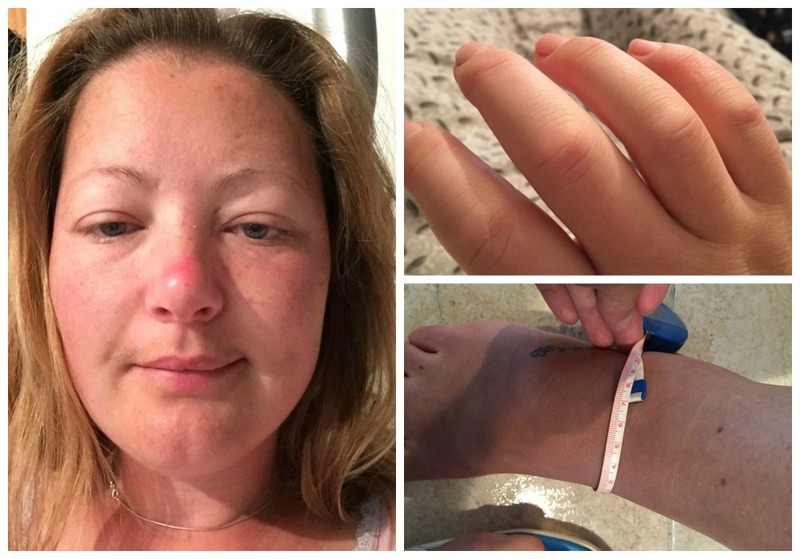 I have an autoimmune and I know how much a chronic condition can take it out of you at the end of the day – how much pain and exhaustion can try to drag you down. That you are managing to stay positive and push yourself for your son is an inspiration. Stay strong! You may have physical problems, but that doesn’t mean you can’t be and aren’t a great mom. Despite whatever problems you have, you’re not only raising this child, but you’re doing a wonderful job. It is definitely not easy. I hope that things start to look for you and that you need more good days than bad.